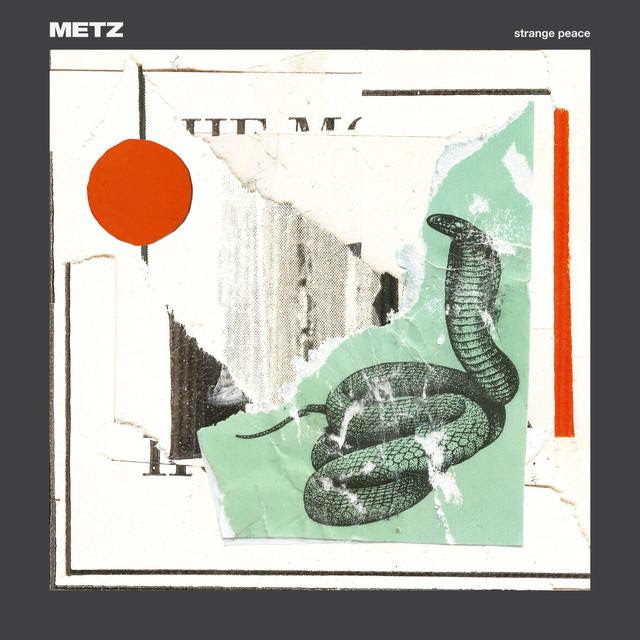 “Mess of Wires” is the latest and arguably greatest song to be released from METZ’s forthcoming album Strange Peace out September 22 on Sub Pop via Inertia Music. Zane Lowe gave the song its World First premiere on his Beats 1 show earlier today. Edkins (guitar, vocals), Hayden Menzies (drums), and Chris Slorach (bass) recorded Strange Peace at Electrical Audio in Chicago, live off the floor to tape with Steve Albini. The result is a distinct artistic maturation into new and alarming territory, frantically pushing past where the band has gone before, while capturing the notorious intensity of their live show. The trio continued to assemble the album (including home recordings, additional instrumentation) back at home in Toronto, adding the finishing touches with longtime collaborator, engineer and mixer, Graham Walsh. Read the full bio for Strange Peace below. Since releasing their self-titled debut record in 2012, which The New Yorker called, “One of the year’s best albums…a punishing, noisy, exhilarating thing,” the Toronto-based three-piece METZhave garnered international acclaim as one of the most electrifying and forceful live acts, touring widely and extensively, playing hundreds of shows each year around the world. Now, Alex Edkins (guitar, vocals), along with Hayden Menzies (drums), and Chris Slorach(bass) are set to unleash their highly-anticipated third full-length album, Strange Peace, an emphatic but artful hammer swing to the status quo. “The best punk isn’t an assault as much as it’s a challenge — to what’s normal, to what’s comfortable, or simply to what’s expected. 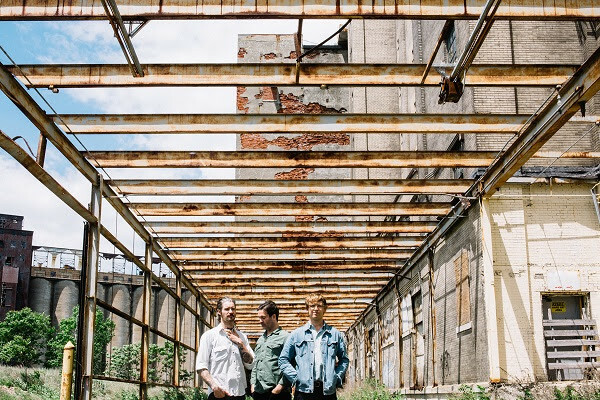 Teetering on the edge of perpetual implosion,” NPRwrote in their glowing review of METZ’s 2015 second album, II. The trio continued to assemble the album (including home recordings, additional instrumentation) back in their hometown, adding the finishing touches with longtime collaborator, engineer and mixer, Graham Walsh. From the ferocious opening track, “Mess of Wires”, we’re met by the sheer force and fierce musicianship we’ve come to expect from METZ. With the unhinged, post-punk fragments of “Drained Lake”, and the whirling, acerbic pop features of “Cellophane“, the band’s hectic progression becomes clear. But Strange Peace isn’t merely a collection of eleven uninhibited and urgent songs. It’s also a kind of sonic venting, a truculent social commentary that bludgeons and provokes, excites and unsettles. With all the pleasurable tension and anxiety of a fever dream, Strange Peace is equal parts challenging and accessible. It is this implausible balancing act, moving from one end of the musical spectrum to the other, that only a band of METZ’s power and capacity can maintain: discordant and melodic, powerful and controlled, meticulous and instinctive, subtle and complex, precise and reckless, wholehearted and merciless, brutal and optimistic, terrifying and fun. THE NATIONAL announce Australian tour dates! Dan Lissvik remixes “Garden” by Norway’s Gundelach // out now!